User submits record for approval. There is no method for automatic approval submission. Does this record match the criteria for any approval processes on this object? This will always include locking the record so that no further changes can be made until the approval process is finished. This can also include other workflow actions. Appropriate parties must approve/deny record. One of 3 approval process completions occurs. In addition to locking or unlocking the record, each of these completions can has its own set of additional workflow actions. Approval. Record is approved by all parties. The record is locked by default. Rejection. Record is rejected by any part. The record is unlocked by default. Recall. Record is recalled by submitter. The record is always unlocked. Automatic (triggered when record matches criteria) Manual. Can only be invoked if record matches criteria. No interaction required (time-based workflow rules are transparent as well). Each step of the approval process requires interaction from a user (approve/reject). Does not lock the record under any situation Locks the record during the approval process. The jump start wizard will create an approval process with one step using a set of default values. See â€œApproval Process Jump Start Default Selectionsâ€. Essentially when you create an approval process using the wizard youâ€™ll get an approval process with one approval step and one set of filter criteria with the default values. Approvals occur within approval steps. Record is submitted for approval and meets initial criteria. Start first approval step. 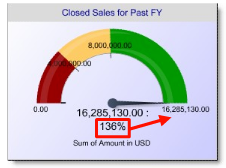 Does record meet criteria (or formula) for this approval step? If yes â€“> require approval. Designated approver approves/rejects and chooses the next approver if required. If the next approver is automatically selected through a hierarchical relationship, the current approver is used to determine the relationship (not the approval initiator). This can be used to route approvals through several tiers of management. Repeat step 2 until out of finished with approval steps. If record has passed/skipped all approval steps, then process approval actions. See â€œUseful Approval Processesâ€ for examples and additional info. Create an approval process using the hierarchy from worker to VP with filters at each step. Workflow rules are Enterprise+. A workflow rule is triggered based upon pre-defined criteria (e.g. Opp Amount > 100k). 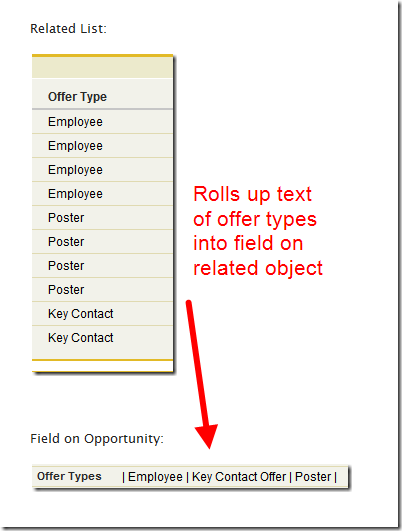 The workflow rule triggers workflow actions which can update fields, send emails, etc. 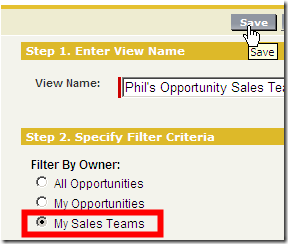 Filter criteria must be entered as well, same functionality as a report but is required. Send emails. There are some limitations here- for instance, whoever activates the workflow rule will be the sender of the email (from cannot be set). Update fields. 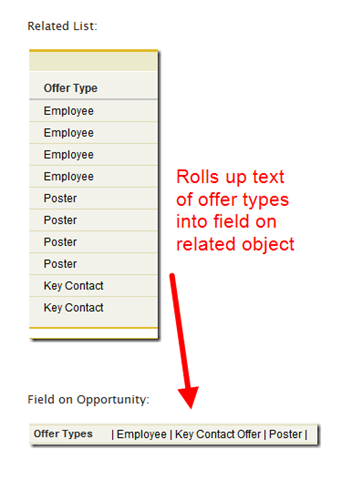 There are some limitations here- for instance, you cannot update a lookup field. Send outbound message (used to send information to external services). Create tasks. Close/won opportunity and create a task to follow up with client in 90 days for sales rep or CSR. Send emails. Case resolution time was greater than 7 days, CSR management with case details. Update fields. 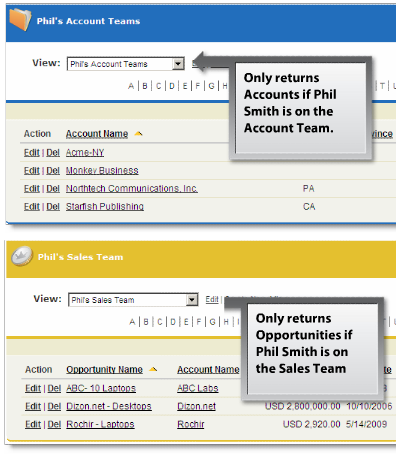 When creating an opportunity change the name of the opportunity to include â€œAccount Name â€“ Opportunity Nameâ€. This way if you search for ABC company you can see all opportunities on the search as well. Send outbound message. On opportunity close/won and sale requires shipped product, send outbound message to order fulfillment program. When a record is created, or when a record is edited and did not previously meet the rule criteria. Just like it sounds- rules are executed when the record is created and meets the filter criteria. If the record did not meet the filter criteria but is edited and then does then the rule will execute. Workflow rules can be executed multiple times under this setting (record matches & rules execute, record is changed no longer matches, record changes and matches- rules execute again). Only when a record is created. If it doesnâ€™t match filter criteria on creation, the rule will never run. Every time a record is created or edited. If the filter criteria matches whenever a record is saved, execute the workflow rules. The reason (my 2 cents) this cannot be used with time-based workflow actions is because it could potentially create an enormous queue of actions to take place in the future (save and save and save- each time a new set of actions is created 90 days in the future)- this really isnâ€™t practical. This actually is not possible with the top setting as I will explain below. Immediate workflow actions execute the instant the workflow rule criteria is met. Time dependent workflow actions are attached to time triggers. A time trigger is a defined interval, measured in hours or days before or after any date or date/time field on the object (e.g. 7 days after case open). Multiple workflow actions can be assigned to a single time trigger; multiple time triggers can exist per workflow rule. 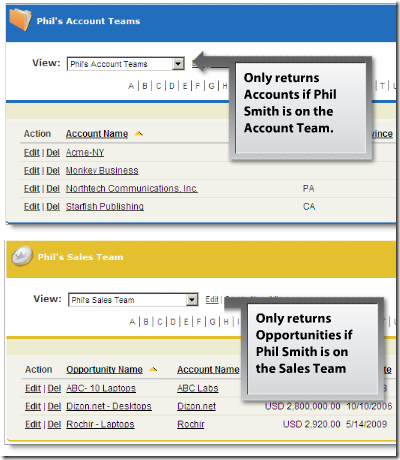 When using â€œWhen a record is created, or when a record is edited and did not previously meet the rule criteriaâ€ only one set of time-flow actions can exist. If the record is modified and no longer meets the criteria, any pending time flow actions are removed. 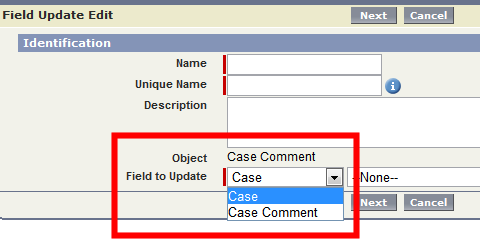 Example: If case is open after 4 days email case owner. If case is open after 7 days email management. Create workflow rule (when record is created or did not previously meet), filter criteria IsClosed=False. Create time trigger for 4 days after case creation. Add workflow rule to email case owner. Create time trigger for 7 days after case creation. Add workflow rule to email management. How it works: CSR opens case. Case is closed after 3 days. Case is reopened after 5 days. Case is closed at 8 days. Case opens- workflow pending at 4 days and 7 days. Case closed- no workflow pending. Case reopened- workflow pending in 2 days (CSR email not created as it would have occurred in the past). Workflow rule executes to email management. No workflow pending. Case is closed.